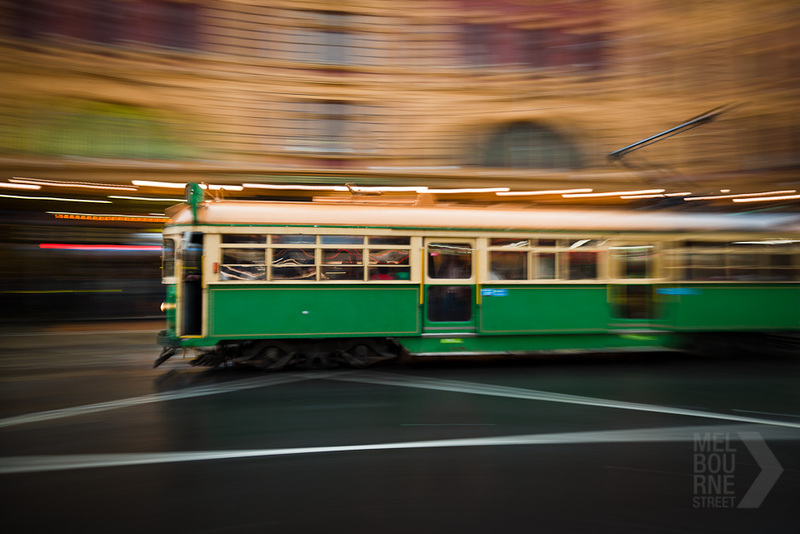 I love these old trams. They have loads of character, heaps of seating & make cool noises. I remember in school days hanging out the door with one hand as the tram slowed, then timing the jump off so I could hit the ground running, but not so fast I might fall. I’ll miss the W-Class when they are gone, the new trams don’t even come close. Wow.. this is a magnificent photo. Fantastic clarity combined with wonderful blur. How do you do it? Congratulations. Couldn't agree more. These trams define character, and their loss will signal the loss of character that is most things modern. are they seriously getting rid of them? even on the city circle?